There are many behaviors that respond well to a reward system. A positive consequence such as a sticker chart, token economy system, point system or behavior chart can motivate your child fast. Once your child has mastered a new behavior, rewards can be phased out and replaced with praise. You can offer rewards in several different ways depending on the behavior that you are targeting. For example, if you are using a sticker chart to help a child with toilet training, you can offer a sticker each time your child uses the toilet. You could also use this approach when your child tries a new food. There may also be times when it is appropriate to set up training periods to monitor behaviors. Rewards would be offered during these training periods only. For example, if you want your child to work on sharing, you may arrange a play date with a peer to help your child practice. Throughout the play date, you may offer your child a reward in the form of a sticker, smiley face, or token that can later to be exchanged for extra privileges. Another way to approach this would be to offer a single reward after the play date. Explain to your child “If you share with your friend today you’ll earn a trip to the park.” Then, provide reminders throughout the play date, “If you want to go to the park, you’ll need to share that with your friend.” If your child is successful, he earns a trip to the park after the playdate ends. One of the keys to using a reward system to stop a behavior is to explain what behavior you want to see instead. For example, instead of rewarding a child for “not hitting,” offer a reward for “using gentle touches” or “keeping your hands to yourself with your peers,” or “asking permission before touching your brother.” Reward the child for showing the desired behavior. Your child’s age, temperament, and the seriousness of the behavior problem will determine how frequently your child needs a reward. For example, a four-year-old who tends to behave aggressively several times a day may require frequent rewards, such as stickers or tokens, throughout the day. Other children may be able to wait until the end of the day to earn a reward and some kids can wait even longer, such as the end of the week to earn a reward. However, it’s important to make sure that kids are being rewarded often enough that they stay motivated to keep working hard on their behaviors. A behavior chart can assist them with their morning routine or bedtime routine to remind them of what to do. For children who can’t read, a set of pictures of each activity can be helpful. Depending on your child’s needs, he may require a sticker, smiley face or token for each item he completes or he may only need reinforcement when he gets his entire routine completed. Kids may be motivated by earning privileges or by earning an allowance. Sometimes setting up a system where a child earns money for each chore completed. 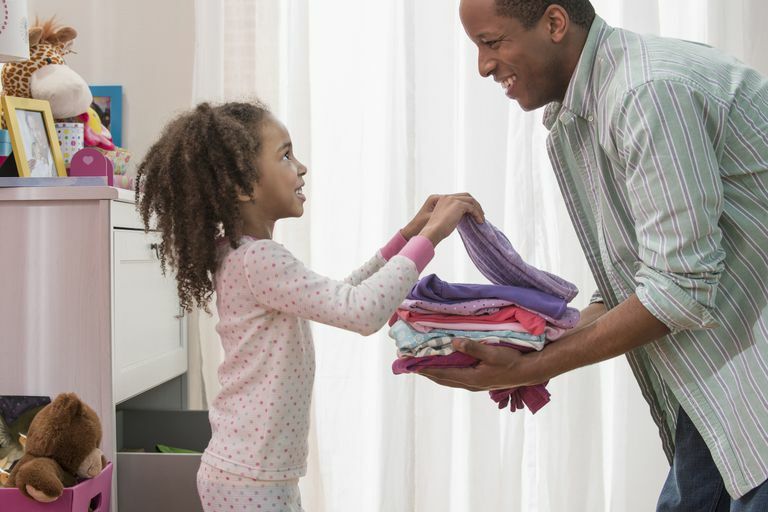 For example, earning a quarter for each simple chore can be very motivating and parents can use the opportunity to teach kids about money.